An institution can be relied on. Its foundations don’t shake due to the winds of change or tides of trends—no matter how volatile, omnipresent, or tenuous. The Divinity Of Purpose brought them to new areas of the globe as the headlined festivals in the UK, Finland, Norway, Germany, and Eastern Europe and landed a slot on Ozzfest Japan. They would perform at Poland’s Woodstock in front of 400,000 people. Stateside, the band supported longtime friends Black Label Society in the winter of 2015 and then got the opportunity to be direct support to Slipknot on a Spring 2015 run in between festival appearances at Rock On The Range, Welcome To Rockville, and more as well as Motörhead's Motörboat with Slayer and Motörhead. Returning home in the Fall of 2015, they entered the studio with longtime producer Zeuss [Rob Zombie, Soulfly]. Immediately, they channeled the spirit that’s long defined their signature sound. By January, the record was mixed by Josh Wilbur [Megadeth, Lamb Of God] and primed for ignition. It also reflects what’s going on outside. The opening track and first single “A.D.” fuses together torrential thrashed-out guitars, double bass drums, and Jasta’s immortal growl before an incendiary lead. The singer dissects what the American Dream means in a climate of upheaval. “Fight fire with fire, you’ll see everyone’s burning,” he screams. Think of it as “Vote With A Bullet” or “Holy Wars…The Punishment Due” for the Instagram age. Elsewhere, “Remember When” and “Slaughtered In Their Dreams” juxtapose visceral lyricism with a searing sonic backdrop as chaotic as it is catchy. 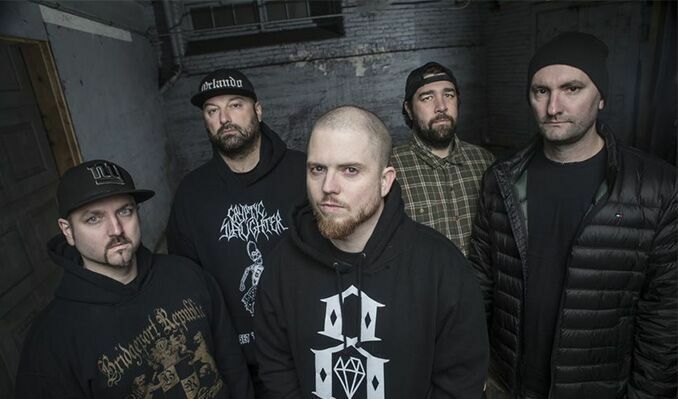 Through and through, The Concrete Confessional is classic Hatebreed. Now, The Concrete Confessional fits right into the bold, bloody, and beating heart of the Hatebreed institution.